This is just for laughs, OK? 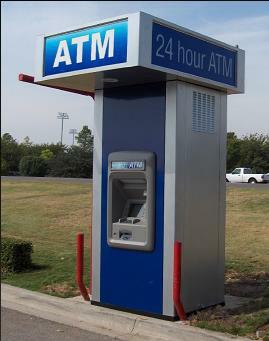 Our Bank is very pleased to announce that they are installing new drive-thru ATM machines enabling customers to withdraw cash without leaving their vehicles. Customers using this new facility are requested to use the procedures outlined below when accessing their accounts. After months of careful research, special MALE & FEMALE procedures have been developed. Please follow the appropriate steps for your gender. 1. Drive up to the ATM cash machine. 5. Retrieve card, cash & receipt. 1. Drive up to ATM cash machine. 2. Reverse car the required amount to align car window with machine. 10. Dig through handbag to find diary; with your PIN written on the inside of the back page. then look at ATM and press “enter”. 18. Write debit amount in cheque register and place receipt in back of cheque book. 20. Drive forward 2 feet. 24. Re-empty handbag, locate card holder, and place card in slot provided. 25. Smile and wave at irate male driver waiting behind you. 26. Restart stalled engine and pull away. 27. Redial person on cell phone. 28. Drive for 2 – 3 miles. This entry was posted on November 29, 2014 by annj49 in Blog and tagged ATM, gender differences, humour.